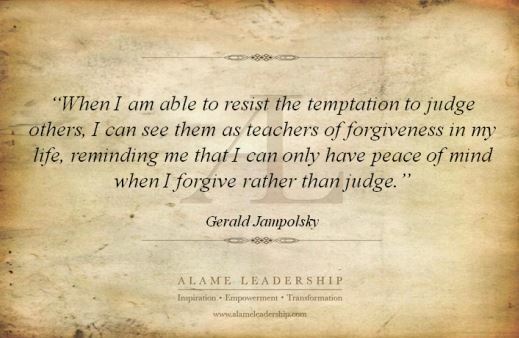 One of the areas of life where many people fail is in judging others fairly. 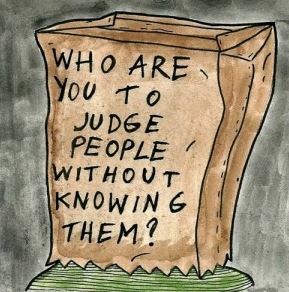 In today’s society, we judge people based on whether or not they agree with us. If a person does not agree with us, the tendency is to attach labels to them and talk bad about them any time their name is brought up in a conversation. Some will even go a step further and orchestrate situations that will further make the target of their slander, appear as they say. I have even watched many religious zealots twist words and scripture to their viewpoint to “prove” themselves “right” and their opponents wrong in order to incite other believers to violence against those who disagree with them. Sadly, there may be agreement in many areas, but one area of disagreement can make any individual become an enemy. 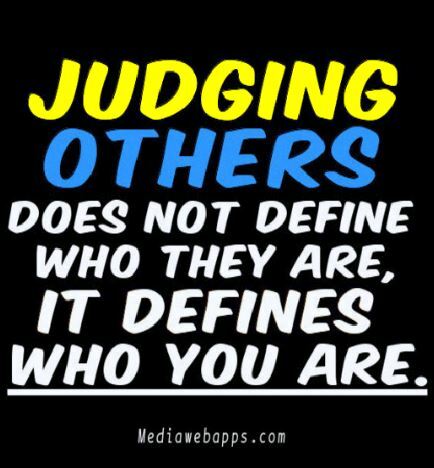 Judging others unfairly leads to division. Division leads to fighting; and, fighting can lead to war. The two main areas where this type of unfair judgment is exercised is in religion and politics. Within these two areas of society, it is nothing to bash or harm those who disagree; not only this, but publicly! Any time we tear another down because of differences, we are propagating hate, not love, toward our neighbor. This is the same neighbor that God commands us to love and to do good to! Any time we use our words to attack another because of disagreement, it shows the true lack of character of the individual voicing the slander. That person has some more growing to do. 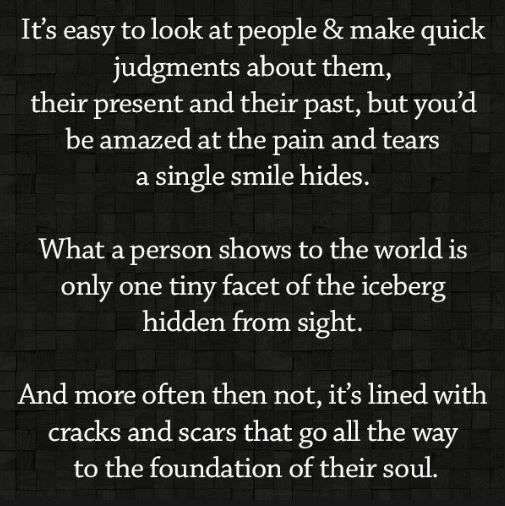 It does not make that person a “bad” person. It just means they need to grow more. However, we must not be ignorant of the fact that a person who does such things can eventually become dangerous because they could get to a point where they stop at nothing to destroy the one whom they oppose. This holds true in religion and politics. Has it ever occurred to any of us that just maybe the person we think so negatively about may have some good traits or qualities about them that are admirable? Could there even be some really fantastic accomplishments done by the one in whom we judge unfairly? What have they endured to get to where they are today? Could these ones we oppose be moral, upright, God-fearing men and women who have great marriages and families, but along the way, made a mistake or two? 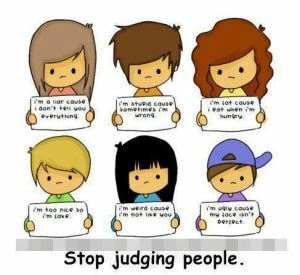 It’s time to stop the hate and slander and remember the good of the individual. It’s time to let go of pride and arrogance and humble ourselves enough to be willing to consider an opposing view for the good it may contain, or, the truths it may reveal. We should not be afraid of hearing truth just because it is opposite of what we have been taught to believe. Be slow to judgment, quick to hear, slow to act. 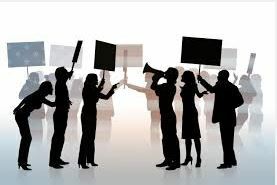 When we spread slander and attach labels to people, we are automatically telling the world they are less than; they are worthless; they are to be opposed; they are to be silenced. I see cyberspace filled with labels such as: haters, bashers, feminists, Democrat, Republican, Atheist, Gay, conservative, liberal, fat, ugly, liar, etc. PEOPLE are not the labels we attach to them. People are all human beings with feelings. We all have good and bad qualities. We are mothers, fathers, sisters and brothers. We are not the labels attached to us in order to divide us and bring harm upon us. Labels divide! Men and women are using labels to divide and/or destroy the ones they’ve attached labels to, whether they realize it or not. I see religious leaders slandering, discrediting, and attaching labels to abuse victims. I see religious leaders asserting their beliefs as the only truth and attacking publicly, those who present a differing truth or belief. One religious faction is actually murdering their opposition (ISIS)! I see religious followers physically attacking, stalking, harassing, and slandering sexual assault victims who step forward to the police. I see religious followers entering into chat rooms, forums, and private facebook groups to spew their slander in order to win more people to their cause and to motivate others to attack the same person(s) they oppose. M any have become too arrogant to search out the truth about what they have been taught to believe. Many religious people do not realize scriptures have been changed to suit a particular faction’s agenda and belief. The thought of which, is abhorrent; so it falls on deaf ears. 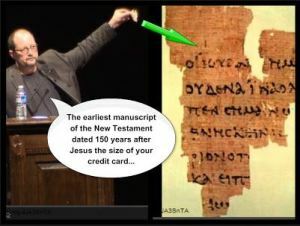 My blog is full of Greek and Hebrew Scholar’s findings on scripture corruption that is fully ignored in order to believe the ones who “believe as they do!” “They” are the experts, not the ones I quote who truly are. I say this with much sorrow and disappointment. Sadly, the desired outcome is to destroy the target in every instance. It would be wise to beware of those that spew negative and hateful comments about others, whether publicly or privately. Think twice about acting on what they tell you against another human being even if they quote scripture to do so. Many innocent people have been destroyed by such conduct and we will all have to give an account to God for it. I see Republican and Democrats alike advertising their slander and hate on television and the internet against their opponents running for office. I see Republican and Democratic followers alike fighting and arguing amongst each other. I see Republican and Democratic followers looking to be offended at every opportunity so they can rail on some poor unsuspecting soul for sharing some article that had a political statement in it they did not notice. I see a country divided by political faction. The level of anger and emotion across this country is at an all time high. The deceitfulness, the slander, and the division taking place in our country is all due to unfair judgment of others; and even worse, it’s due to an insatiable appetite for control of others, money, and power! There are agendas out there. Everyone seems to have one. If we don’t get rid of the agendas and change our thinking in order to look out for the common good, our country is doomed. It will become a hotbed of tyranny and deception in all areas of society. The ones who will suffer as a result will be the weak and vulnerable – the aged, the disabled, women, and children. In order to judge fairly, we must be willing to remove politics and religion from the equation. Politics and religion cause war. Politics and religion imprison. Politics and religion divide. Politics and religion distort truth. Only then, can judgment be based on facts and fairness. It’s time for Americans to get outside of themselves and realize that we are all human. We all do good. We all do bad. The problem lies in our focus. Let’s stop focusing on the negative and work on building upon the good! God calls it “edifying” our neighbor. Each individual has within themselves the ability to do good. When that ability is stifled through deception and influence, the outcome is negative and the impact, far reaching. We should consistently make an effort to acknowledge positive traits in those we disagree with and develop a habit of not mentioning anything negative, attacking, or slanderous in the same sentence. Too often, I hear a positive comment followed up with at least half a dozen or more negative comments! THAT is not how we as human beings should be conducting ourselves. If more people would force themselves to acknowledge the good and then shut their mouths, we would not see much of the division we currently see in society. Just because you don’t like someone does not give you the right to broadcast their weaknesses, faults and other things you don’t like about them. As difficult as this may sound, we must always keep in mind the good things done by those we disagree with or oppose – even if you know of negative things they’ve done. If we don’t, we will dehumanize them. Dehumanization leads to abuse, and possibly the death of, the individual. Currently, ISIS has dehumanized Christians. They can be murdered, tortured, and raped because they do not agree with Islamic belief! Recently, a man was beheaded by a Christian in Oklahoma because he was practicing witchcraft and the killer disagreed with him doing that! 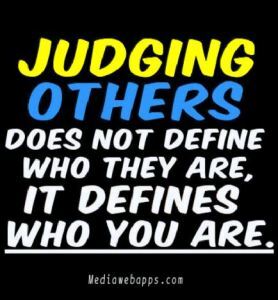 Unfairly judging others can incite people to violence and murder of those who are dehumanized. Over the last five years I have seen the public slander, humiliation, and character assassination of people by religious zealots who do not even know the people they are destroying! How can this be? They are basing their actions on the “opinions” of others who believe as they do and/or, in many cases, corrupted or twisted theological teachings. This is why it is imperative that we “park” opinions about others, publicly. How foolish to destroy people you don’t even personally know just because you disagree with their viewpoint, religious belief, or lifestyle! This is the biggest problem in America right now. Everyone is sitting in the “Judgment Seat” exercising judgment based on false assumptions, other’s opinions, religious belief, political belief, etc. People are being dehumanized all around us and attacked and destroyed. If you disagree with someone or do not like them, keep your mouth shut about them! Anything you say will not be fair. If their name comes up in a conversation, hold your tongue and your opinion! No one can see the “good” in those they oppose. Keeping the mouth shut and parking one’s opinion is for the common good as well as the good of the person disliked. Parking one’s opinion has to be practiced. It is not an easy thing to do in today’s culture where everyone believes they have a right to their opinion, even if it is hateful, destructive, and attacking. The truth is this: God commands us to judge fairly. 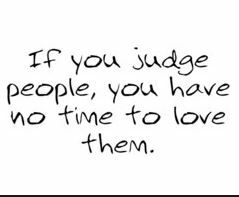 When you are emotional, it is very difficult to judge or speak fairly; especially, if you are in disagreement with someone. The best position to take in a disagreement is this: whatever you are going to say should be fair, gracious, and kindly stated while allowing the opponent to retain integrity and save face. It should not be loaded or anger inducing. It should not “point” the hearer into a place of hostile judgment or action. 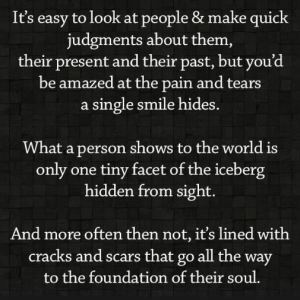 There is so much more I could say on this topic of judging others unfairly. It is because of this practice that the weak and vulnerable suffer. It is because of this tactic, our country is divided. It is because of this tactic, thousands suffer loss. Let’s stop judging others and judge ourselves instead. If we all changed ourselves for the better, America could be a great nation again. As long as our nation is divided, it cannot be great. It is only through unity we can remain strong. Division allows the enemy to enter in and destroy. The REAL change begins with each of us changing our attitudes and perspectives, exercising HUMILITY with those we disagree with, and making a conscious effort to use words that allow our opponents to retain their integrity. The real hope and change for America is within ourselves, not the government, not religion. If we change ourselves, America changes.